Reverence is the ultimate rationale for Ahimsa - for how can one willingly do harm to that for which one has reverence - and towards which one has the love that reverence engenders. 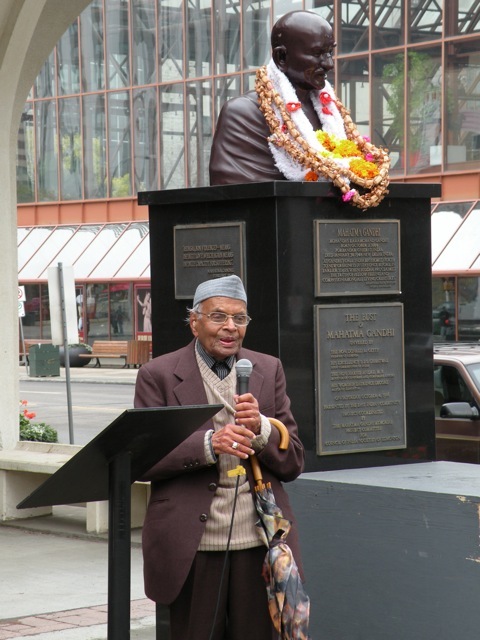 What greater gift can we give one another than to honour and respect the preciousness of life? Today, I will take time to admire and appreciate nature and all my fellow beings. 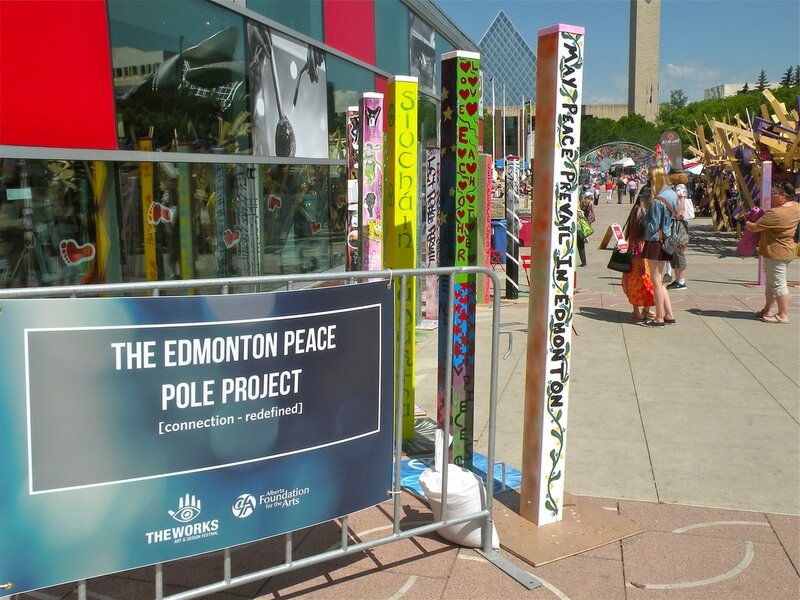 Peace Pole Exhibit at Edmonton's Art Festival - "The Works". Open yourself up to a feeling of reverence for all forms of life, especially each and every person that you meet during the day. Take a walk outside and experience and appreciate the beauty that surrounds you….the sky, the plants, the animals and birds. Did you ever see something that took your breath away? Today focus on how beautiful the world is and all the people on it. Take a walk outside and collect three things from nature. A rock, a leaf, a seed or whatever you can find (don’t take living things such as moss or bark that is still on a tree). Share your nature treasures with someone else and tell why they are so special. 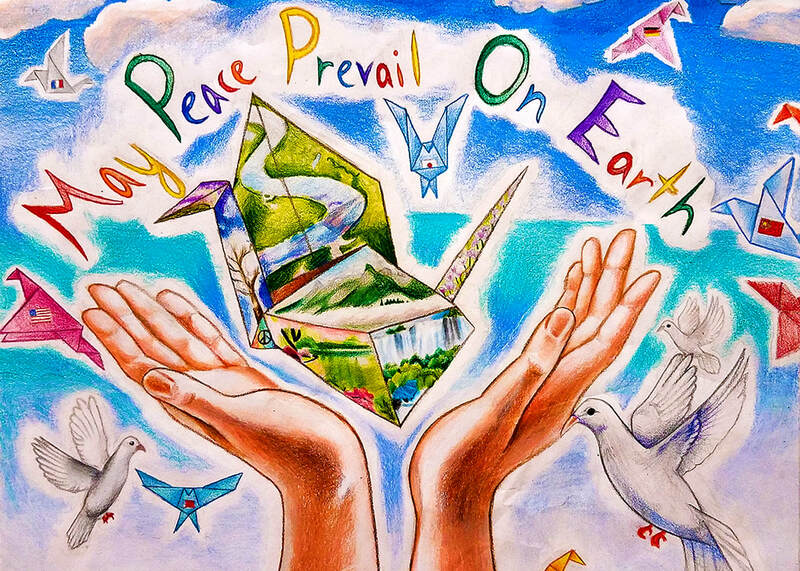 ~ William Sloan Coffin Jr.
Inspirational Video: "Grateful: A Love Song to the World"